One of the principles I try to live by is that you cannot solve the challenges you face unless you are willing to face the truth. Here’s a truth: 2017 was another year in which the political class failed the people of Illinois. Worse, 15 Republicans joined the Democrats to override Gov. Bruce Rauner’s veto of a 32 percent, $5 billion tax hike. That tax hike will take away $1,000 from the average Illinois household each and every year. But here’s another truth hidden inside these events: The people of Illinois engaged in that tax hike fight in an unprecedented manner, in part due to the education, policy and advocacy machine you helped us build. Here’s why that engagement mattered. First, a record number of state lawmakers either quit or announced they would not seek re-election to their seat in the wake of the blowback imposed on them during and after the tax hike fight. Further, of the 15 Republicans that voted for the tax hike override, nine have quit or announced they would not run for re-election. This means that regardless of what happens in November, the caucus itself will be more fiscally conservative and thus more receptive to our policy agenda. This exodus happened in large part because the public delivered accountability through our advocacy tools. Despite all you read about the midterm elections, another truth in Illinois is that our state legislative races will be decided more by what is happening in Illinois than what is happening in Washington. The evidence of this is that while Donald Trump lost by 17 points in Illinois in 2016, Republicans picked up a net of six seats in the General Assembly. This was the first time Republicans picked up seats in a presidential election year since the 1980s. Illinois Policy does not get into elections – that is left to others. What we do is what we did in the tax hike fight and other policy campaigns. We identify and engage the public to hold elected officials accountable to make better policy choices. Without us here to do that, the tax hikers would have gotten more and they would not have paid the price you helped extract. All of this is a sign that power is returning to where it belongs: the people. You see, what you’ve helped us build is far bigger than any one person. It’s bigger than any politician. Your support has built a powerful movement that many considered impossible to build. In the pages that follow, you’ll read about the incredible size and power of our grassroots community. You’ll also see how we helped to overturn a tax hike, advanced school choice and stood up for workers’ rights. Fighting to transform Illinois is not for the faint-hearted. It’s filled with wins and losses. But you have stuck with us through them all. And because of that, we are making real progress – and the truth is that success is within our reach. Thank you for your commitment to a better Illinois. 2017 marked the beginning of the second year of Illinois’ budget impasse. And as pressure mounted, Illinois politicians, civic groups and the media claimed it was impossible to fix the state’s fiscal and economic mess without a multibillion-dollar tax hike. Observing the discussion, it sounded as if the state had done all it could to reform spending. The Illinois Policy Institute released our 2018 Budget Solutions to change the conversation. Our goal was to show that not only was it possible to balance the budget without tax increases, but it was the moral thing to do. 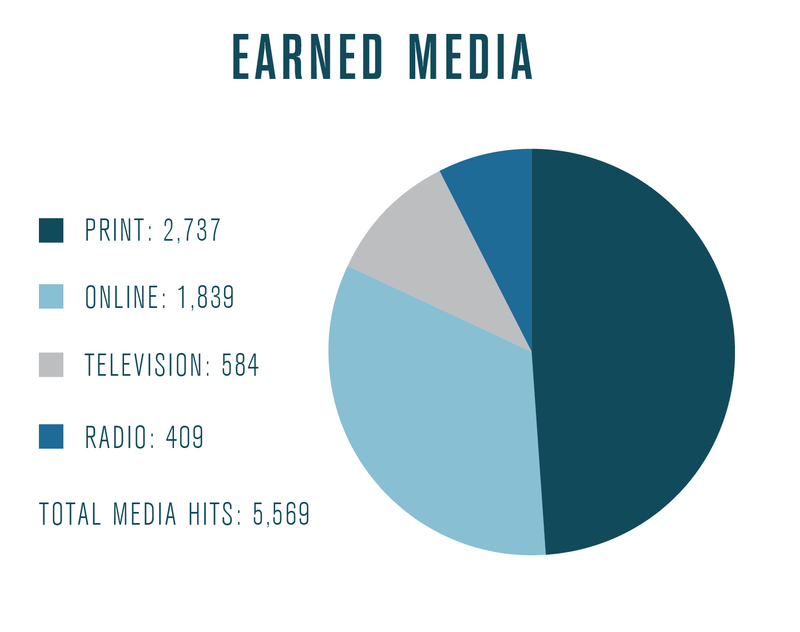 Overall, we had 114 media placements highlighting our budget plan, including coverage from WBBM, the Chicago Tribune and the State Journal-Register. For many – especially those in Springfield – it’s difficult to think outside of the status quo. It’s why many Springfield insiders called our budget plan impossible – they couldn’t imagine doing things differently than they’ve always been done. But we knew our plan resonated with Illinoisans across the state. In fact, we commissioned a poll that found despite the pain of the two-year budget impasse, less than one-third of Illinoisans supported raising taxes. As the year wore on, pressure continued to mount to pass a compromise budget plan. And over Independence Day weekend, the General Assembly passed a budget package that included a 32 percent state income tax increase. The budget and the nearly $5 billion tax hike it includes are bad for Illinois. It continues the same policies that created the crisis and does nothing to address the state’s out-of-control spending. Indeed, despite billions in new revenue, this budget was still out of balance by more than $1 billion. 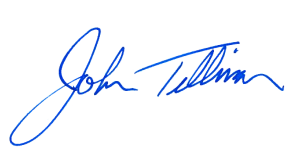 From the very beginning, our goal with the Illinois Policy Institute and Illinois Policy was to put mechanisms of accountability in place – those who seek to put Illinois on a path to prosperity should succeed, and those who threaten it should fail. Following the summer’s tax hike fight, we saw the power of these mechanisms to bring historic change to Springfield. Just one year into the current General Assembly, nine of the 15 Republicans who voted for the tax hike have announced they will not run for re-election. Another 25 lawmakers have either resigned their seats or will not be holding on to their seats in the next General Assembly. This is an exodus unlike anything Springfield insiders have ever seen. And it’s a sign that change is coming to Springfield. Taxpayers’ voices are finally being heard – and they’re louder than ever. It wasn’t exactly the Boston Tea Party, but it took everything short of dumping Diet Coke into Lake Michigan for Cook County residents to force the repeal of an unpopular tax on sweetened beverages. Thankfully, Illinois Policy was on the front lines of this fight. The county’s penny-per-ounce “soda tax” is no more. And Illinoisans across the state should take heart. Even the most powerful machine politicians – including House Speaker Mike Madigan – are not above the wrath of the voting public. The repeal of the Cook County soda tax shows that Illinoisans from across the ideological spectrum are ready for a change. The fall of the sweetened beverage tax serves as a prime example of political activism at the grassroots level. 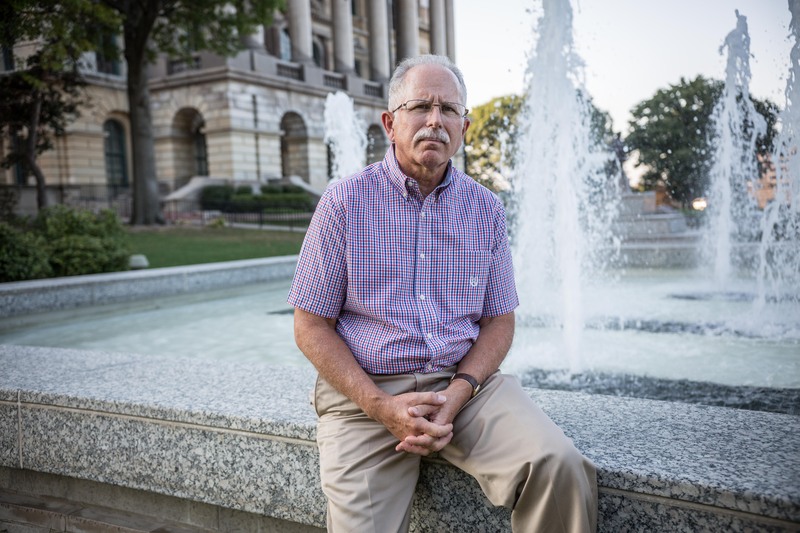 Elected officials felt the anger of taxpayers. And Cook County commissioners were forced to flip their votes in an attempt to avoid electoral defeat. 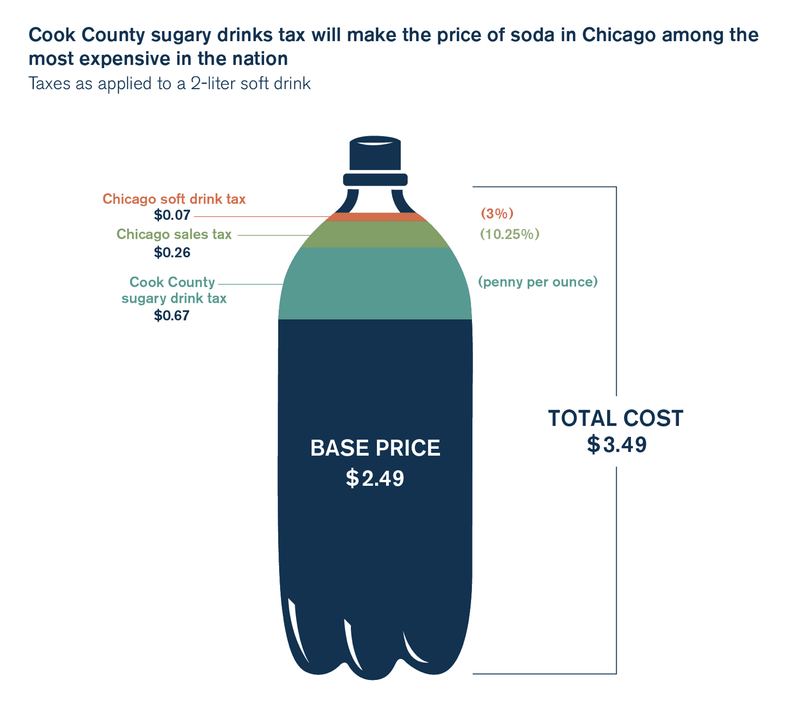 When Cook County implemented its sweetened beverage tax on Aug. 2, 2017, soda in Chicago became some of the most expensive in the nation. Until its repeal on Dec. 1, 2017, a $2.49 2-liter bottle of soda cost $3.49, an effective combined tax rate of 40 percent. Cook County’s soda tax and others like it were implemented under the guise of improving public health. But voters knew this was little more than a cash grab designed to avoid necessary spending reforms. Shortly after its implementation, one poll commissioned by the Illinois Manufacturers’ Association found nearly 87 percent of Cook County residents disapproved of the tax, and in the same poll 80 percent said they believed the tax was being done strictly for money and not for public health. But outrage alone doesn’t get results. Illinois Policy was ready to capture residents’ anger to produce real change, partnering with the chief sponsor of the soda tax repeal, Commissioner Sean Morrison, R-Palos Park, to tailor our approach to generate support for the repeal. In order to give policymakers an alternative to nickel-and-diming residents, we produced unique research showing how Cook County’s budget problems stemmed from massive growth in payrolls. In fact, the county could have saved $1.7 billion if payroll per worker had grown at the rate of median household income since 2001. 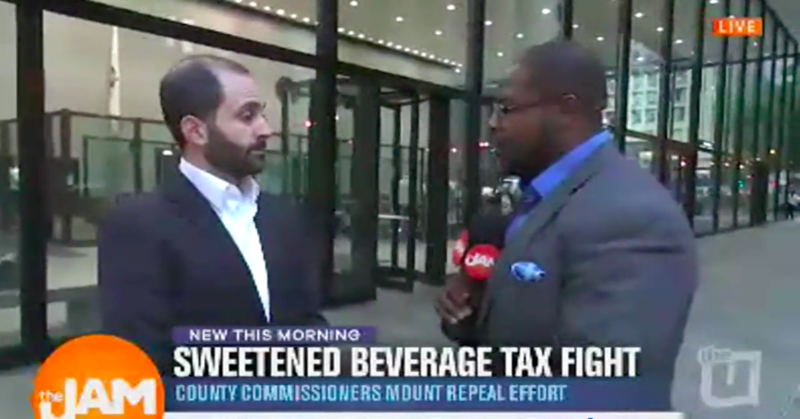 Before the soda tax repeal was put to vote, Chris Lentino, manager of Chicago outreach, took to local Chicago media to drum up support and remind Chicagoans they already pay five different beverage taxes. His message advocating for small business owners and taxpayers alike aired on the WCIU TV morning show and WVON radio. 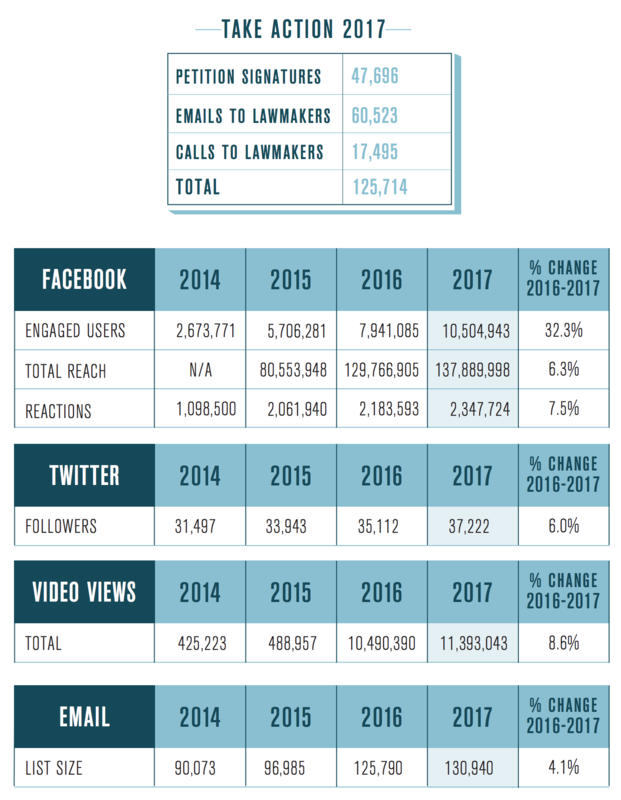 Through robocalls and targeted social media ads, we were able to direct Cook County residents to the appropriate channels to achieve legislative success. Ultimately, all but two commissioners voted to repeal the soda tax. The choice before commissioners became clear: Repeal the sweetened beverage tax or lose your job. Lawmakers listened because taxpayers spoke up. Even Madigan’s hand-picked county commissioner flipped his vote in favor of the repeal. In addition to traditional approaches, the soda tax proved to be the appropriate channel to roll out our newest creation: Chris from Chicago. This character was created to educate and engage a younger audience to take action on policy initiatives. On social media, this project generated over a quarter of a million video views, over 10,000 likes and shares, and nearly 3,000 comments on the soda tax issue alone. Commissioners proved in November that they could replace revenue from the sweetened beverage tax with cuts. The 2018 budget eliminated more than 1,000 vacant positions and reduced staff to fill a $200 million budget gap. While good news for taxpayers, there is significantly more work to do to fix Cook County. The soda tax fight gave Illinois Policy a perfect platform to propose needed reforms, such as introducing a 401(k)-style alternative to failing pension funds, addressing local spending and eliminating tax increment financing districts. The fight does not end with the soda tax, however. As state and local governments in Illinois face continuing budget crises, elected officials will try to hit up tapped-out taxpayers rather than tackle needed reforms. Thankfully, taxpayers fought back to stop their efforts. And they should continue to recall the lessons learned from the soda tax. Meanwhile, Illinois Policy will continue to fight for the change needed to truly fix spending problems within local governments across Illinois. Every child in Illinois deserves an excellent education – regardless of his or her ZIP code. That’s why from our start 15 years ago, the Illinois Policy Institute has fought to give parents a choice when it comes to the education of their children. We’ve made the case through research and outreach over the years. But perhaps most importantly, we’ve made the moral case by sharing the stories of students and parents in Illinois. And after years of laying the groundwork, school choice has come to Illinois. In August 2017, the General Assembly passed and Gov. Bruce Rauner signed a plan to create one of the largest tax credit scholarship programs in the nation. For the first time ever in Illinois, thousands of low-income children will be able to escape their failing schools and have a chance at a great education. Here’s how it works: The law calls for a $75 million tax credit scholarship program. This means that individuals and businesses will be able to receive a partial credit against state taxes, at a rate of 75 cents on the dollar, for donations given to nonprofit scholarship-granting organizations. These scholarships, in turn, will be given to low-income students currently locked into failing public school systems to attend private schools of their choice. The program will offer a life-changing opportunity to thousands of Illinois students. And its passage was an especially impressive feat considering the strong opposition from powerful forces such as the Chicago Teachers Union and the Illinois Education Association. 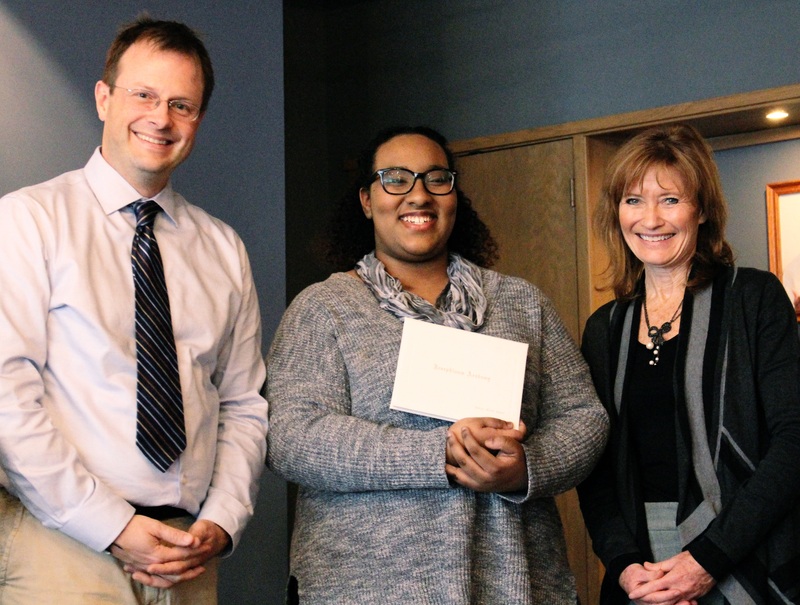 The Institute has made the moral case for school choice by telling the stories of students and parents in Illinois, including Jailyn Baker (middle). Jailyn was a high school student from Chicago’s South Side who traveled three hours each day to get to a Catholic school that offered better outcomes than the public high school in her neighborhood. This year, the Illinois Policy Institute, along with our litigation partner, the Liberty Justice Center, led the fight against forced unionization. In September 2017, the Liberty Justice Center received word that the U.S. Supreme Court agreed to hear its case, Janus v. AFSCME. If successful, the case would effectively provide right to work for every government worker nationwide. This case is a historic fight for workers’ rights. In 2015, the U.S. Supreme Court heard a similar case, Friedrichs v. California Teachers Association. At that time, it was widely believed the plaintiffs – teachers who objected to paying forced union fees – would prevail. But the death of Justice Antonin Scalia in 2016 led to a 4-4 tie vote. Oral arguments will take place in February 2018, with a decision coming before June 25, 2018. 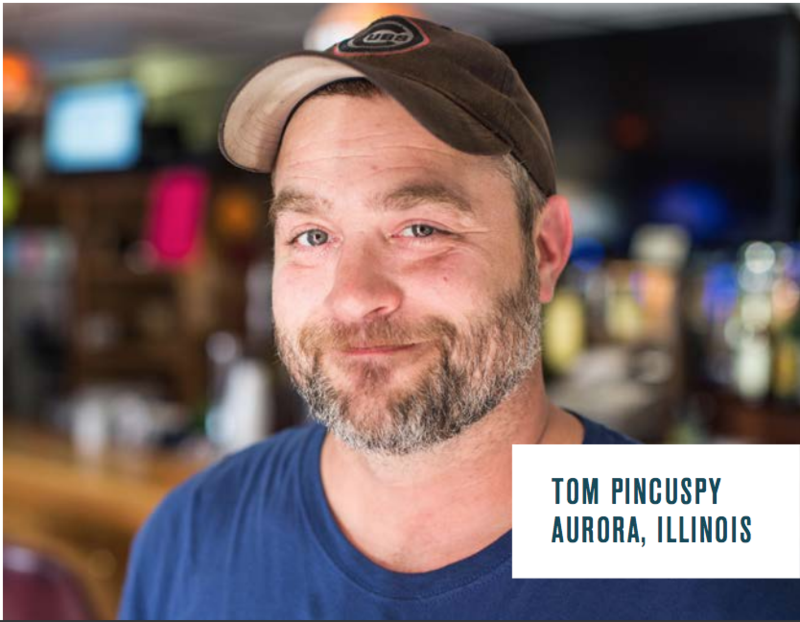 The Illinois Policy Institute worked with the Lincolnshire Village Board in December 2015 to enact Illinois’ first local right-to-work ordinance, which applies to all private-sector workers in the village. Shortly after the law passed, four unions filed a lawsuit in federal court to fight the ordinance. Our litigation partner, the Liberty Justice Center, is representing the village board in the ongoing case. But rather than allow this issue to make its way through the courts, lawmakers sought to enact legislation that would ban local governments from passing right to work. 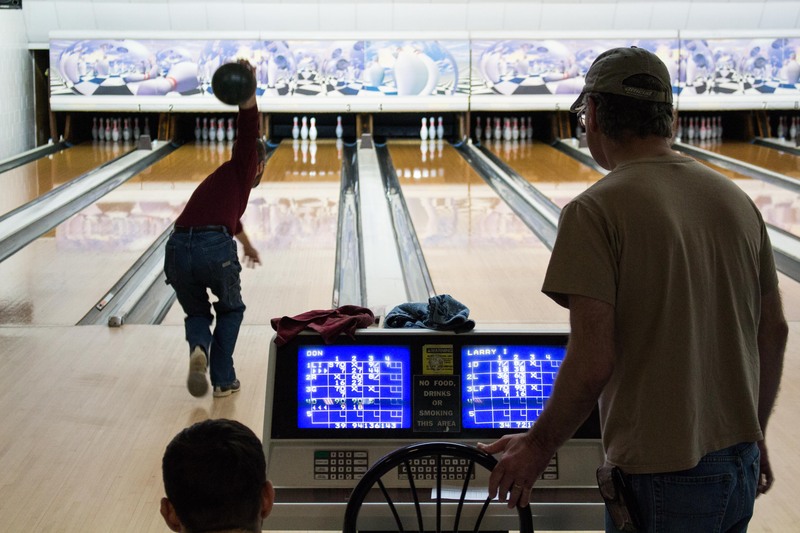 Despite immense union pressure, the Illinois Policy Institute worked with the Lincolnshire village board to pass a local right-to-work ordinance. And now, our litigation partner, the Liberty Justice Center, continues to defend the ordinance in federal court. In fact, the bill didn’t just prohibit local right-to-work zones. It would have held criminally liable any official who violates that prohibition. Illinois Policy launched a proactive media and marketing campaign to stop the bill. As part of this effort, a number of influential editorial boards, including Crain’s Chicago Business – which has not traditionally supported labor reform – came out in support of local right to work. In the end, lawmakers failed to gather the votes needed to pass the bill. This was a tremendous win for the future of Illinois – and possibly the nation. By defeating this bill, we ensured the courts are able to decide the legality of local right to work ordinances. This, coupled with a potential win in Janus v. AFSCME, would significantly change the landscape for worker freedom in Illinois as well as in the 21 other forced-unionization states across the country. As Crain’s Political Columnist Greg Hinz first reported Oct. 18, Illinois fell out of the running for a prized 4,000-job assembly plant that Japanese automakers Toyota and Mazda are planning to build in the United States – and the Land of Lincoln’s failure to adopt a right-to-work law was a factor in the manufacturers’ decision. By allowing municipalities to set their own labor rules, Rochelle, for instance, might have stayed in the running. Instead, the automakers chose three right-to-work states as finalists. Illinois Policy’s community is unlike any other in the state. 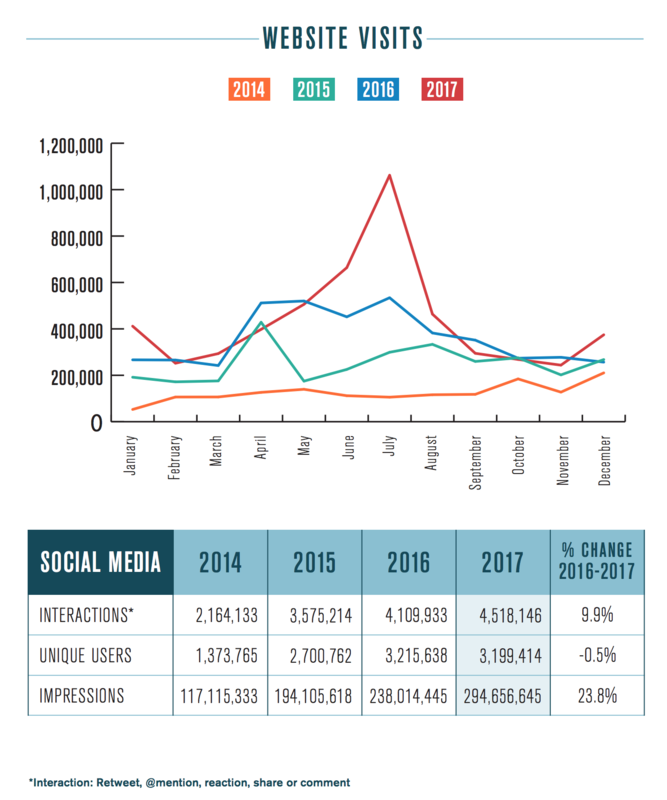 We reach tens of thousands of Illinoisans each day on social media. We keep them apprised of how poor policy choices have driven the state down a dangerous path. We produce award-winning stories to let them know they aren’t alone in their plight. And we provide real, actionable steps for them to be a part of writing Illinois’ comeback story. Best of all, our reach continues to expand, with our digital audience numbering 400,000 per month. That reach is much more than just a number. 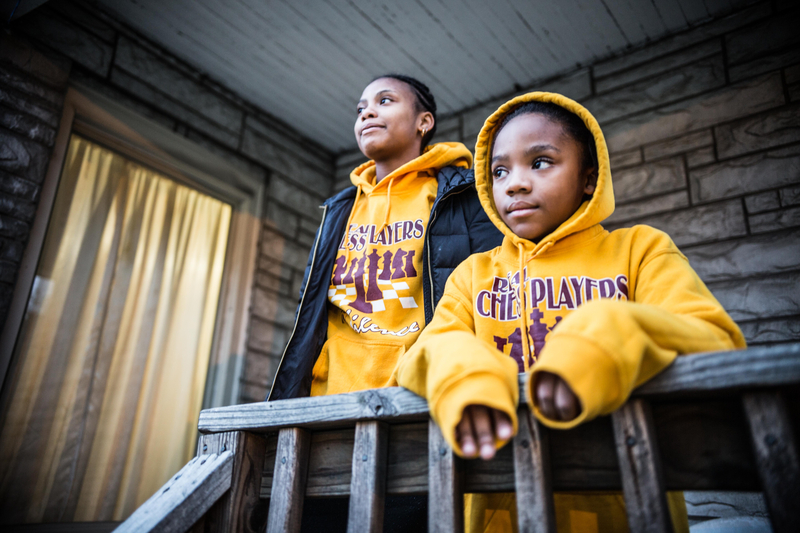 In 2017, our community rallied behind a Decatur mom seeking policy change to give her a second shot at success, raised more than $20,000 for a chess team in need and sent tens of thousands of emails and phone calls to lawmakers who had betrayed their interests. As our team grows, we’re tackling new projects and reaching new audiences each day. 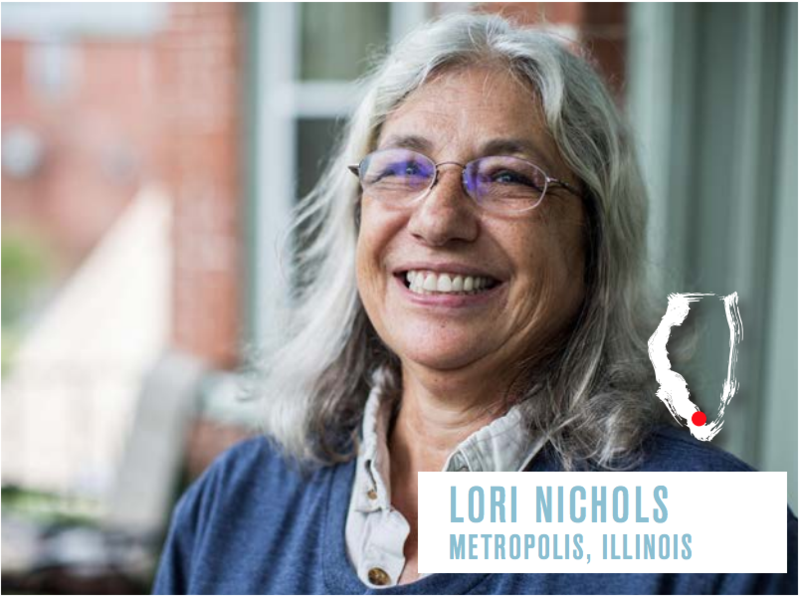 Our latest storytelling work, “Forgotten Illinois,” is already making waves across the state. Unlike career lawmakers in Illinois, the power of the Illinois Policy Institute is not borne of privilege or patronage. Our strength comes from the voice of our community. And they’re only getting stronger. What’s happening in Illinois? The response to this question often centers on politicians and the style of dysfunctional politics that has become synonymous with Chicago and Springfield. But behind the political drama are some of the most over-burdened taxpayers in the country, suffering under lagging economic growth and the sight of their friends and neighbors fleeing for better opportunities in different states. More so than politicians, they have stories that need to be told. “Forgotten Illinois” seeks to tell those stories. 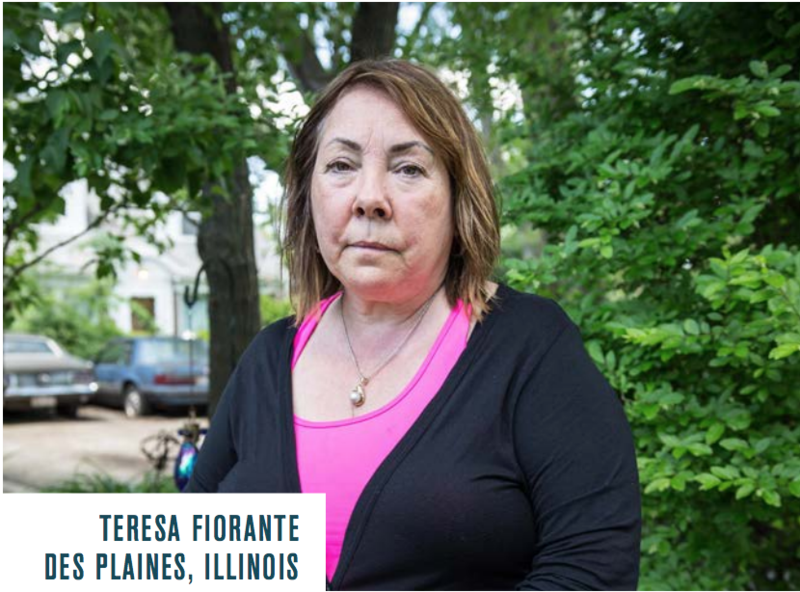 Our ongoing series is traveling the state to talk to Illinoisans prone to being overlooked. Through those travels, we’ve been able to hear stories that get the core of what Illinoisans are facing, both their struggles and their aspirations. That mission is resonating with Illinoisans, with the series earning nearly 700,000 video views in 2017. Our first episode took us to Newton, Illinois, in downstate Jasper County. The city of just under 3,000 has a story familiar to much of downstate Illinois and much of America’s rust belt: Jobs, and people, are leaving. 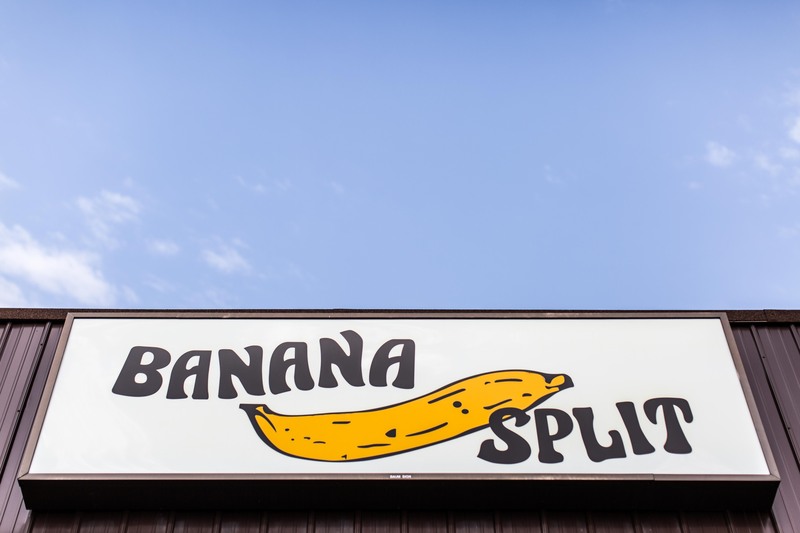 Competitive pressures from neighboring Indiana – as well as Illinois’ unfriendly jobs climate – present a real challenge for the small town. And yet, thanks to the small town feel and pride, Newton sticks together. Every resident has each other’s back and is committed to doing all they can to make the city work, even if Springfield isn’t listening. 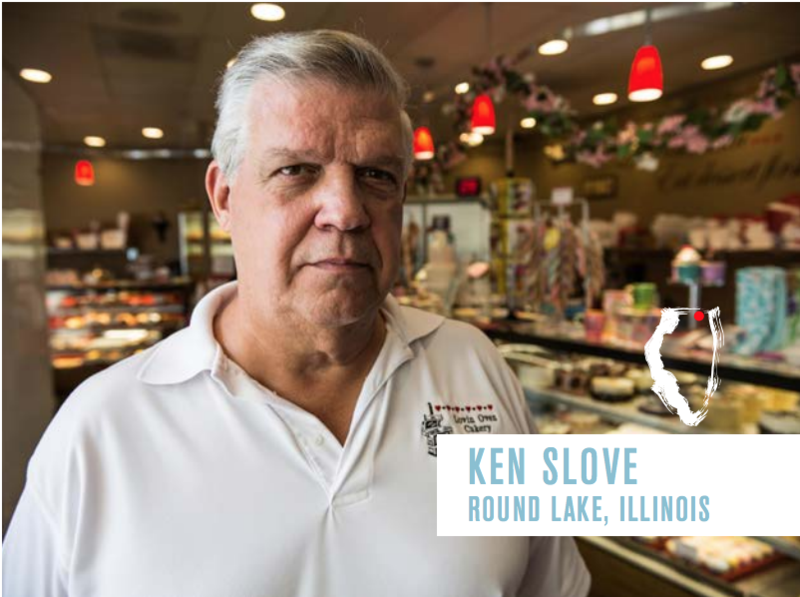 Our second episode took us nearly 300 miles north to four small-to-midsize towns of similar makeup, hugging one of Lake County’s many bodies of water. Round Lake, Round Lake Beach, Round Lake Heights and Round Lake Park all share similar names, appearances and character but are divided by different governments. That means four mayors, four village boards and administrators, and four police departments. 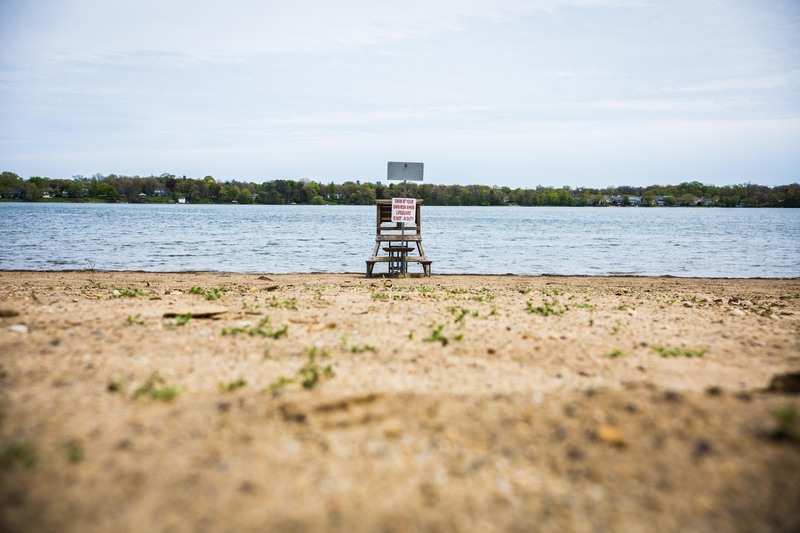 Just by consolidating duplicative jobs between Round Lake and Round Lake Beach, taxpayers could save up to $3 million each year – and this is in a county with the highest property taxes in the state. “Forgotten Illinois” has also taken us to Metropolis, a southern Illinois city on the Kentucky border with a rich history, unique present and unknown future. 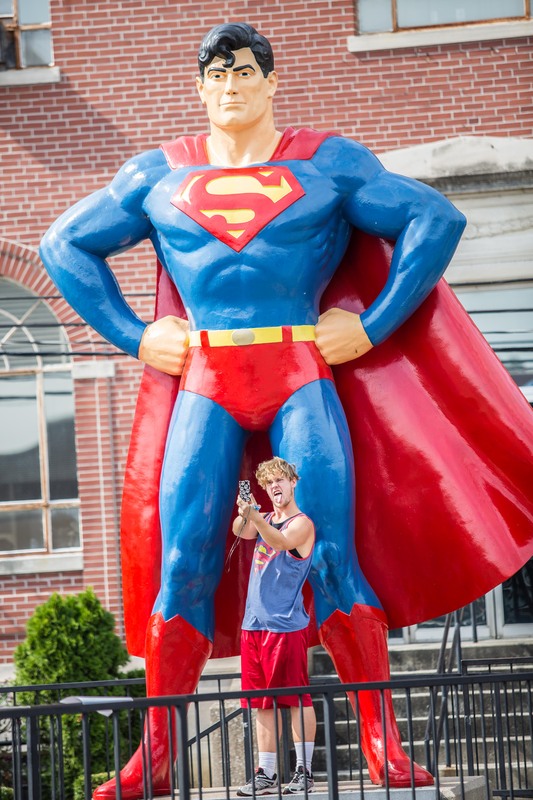 In the middle of the city, a 15-foot-tall Superman statue greets visitors, right next to a Superman museum. Much like Newton and the pressures from Indiana, Metropolis has to deal with the competitive pressures of Kentucky and the more thriving and robust business climate on the other side of Illinois’ southern neighbor. But its unique character matters, and residents are hopeful the future can be bright for their small town if the state turns around with it. Lori Nichols, owner of Summers Riverview Mansion Bed and Breakfast, wants to be part of that future. Most recently, “Forgotten Illinois” looked at Illinois’ second-largest city, Aurora. While it’s home to about 200,000 residents, it hasn’t always felt like Aurorans are living in the same city. 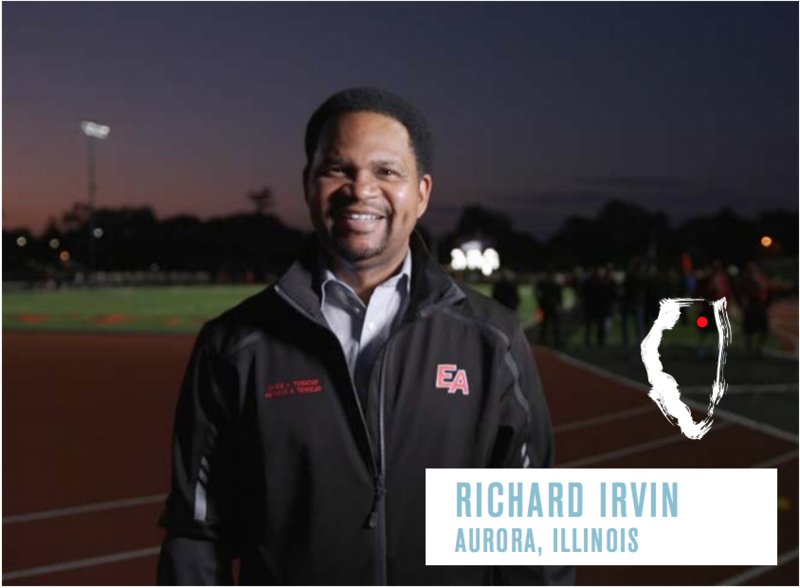 East and west Aurora – divided by a river – have also been divided by opportunity. But now, with a new mayor, new ideas and citizen-led efforts, Aurora residents are determined to change that, bridge the gaps and become one city. These stories are not what lawmakers consider when debating policies that more often than not have increased the state’s tax burden, killed jobs and pushed lifelong Illinoisans out of state. But these are real stories of real people hoping for a better future. Our series will continue to travel the Prairie State to listen to the Illinoisans Springfield and Chicago aren’t hearing. Their stories carry crucial weight in advancing needed reforms – far more than exhausted political bickering. 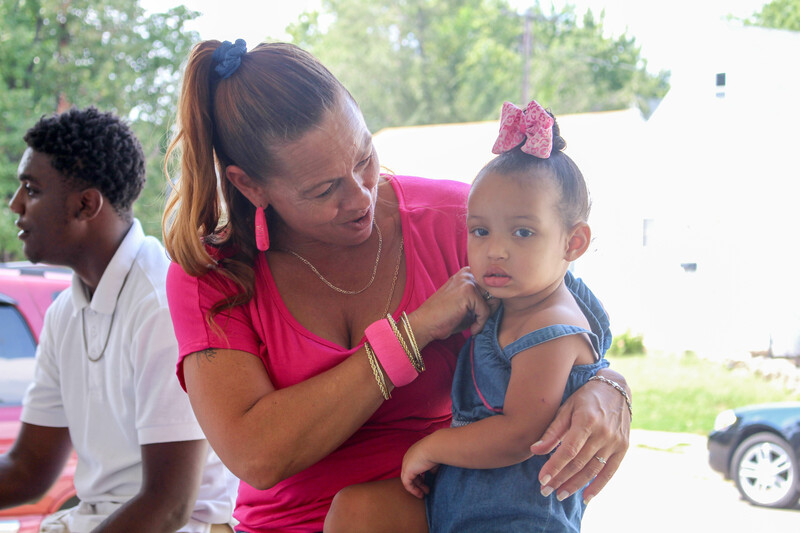 Lisa Creason was a single mom on a mission: become a registered nurse and forge a brighter financial future for herself and her family. In 2017, the Decatur native finally saw her dream come true. Lisa’s new nursing license doubled her hourly wage overnight. How? Reform championed by the Illinois Policy Institute. Despite working as a certified nursing assistant for nearly a decade and passing her nursing courses with flying colors, Lisa was denied access to the final test she needed to get her license to be become a nurse – all because of a crime she committed as a teenager. More than 20 years prior, Lisa had stolen money from a sandwich shop cash register in a moment of desperation. But that crime continued to haunt a woman who by all accounts had transformed her life. It was preventing her from taking a job for which she was qualified and needed to give her family the life she knew they deserved. Creason’s struggle took the form of Senate Bill 42. The bill would allow those with forcible felonies on their records (other than sexual offenses) to seek waivers from the state to obtain health care worker licenses, provided the convictions occurred more than five years prior to applying for a waiver. After passing the General Assembly and receiving Gov. Bruce Rauner’s signature, SB 42 took effect January 2017. Finally free to take her nursing exam, Lisa passed. She was elated. “Without the Illinois Policy Institute, I would not have been putting on my nursing uniform today,” Lisa said. In 2018, the Illinois Policy Institute will continue to fight for criminal justice reform – prioritizing rehabilitation and success over punitive measures that reinforce a costly cycle of recidivism. Joe Ocol represents the best of what Illinois has to offer. And the same goes for Illinoisans across the state who gave generously to fund Joe’s work throughout 2017. Joe is special. Each weekday morning, he drives an hour to work as a math teacher at Earle STEM Academy on Chicago’s South Side. And each day after work, he leads a nationally renowned chess team from an area with no shortage of struggles. Unfortunately, not everyone values his service to the community. During the Chicago Teachers Union’s one-day strike in 2016, Joe refused to stay home. 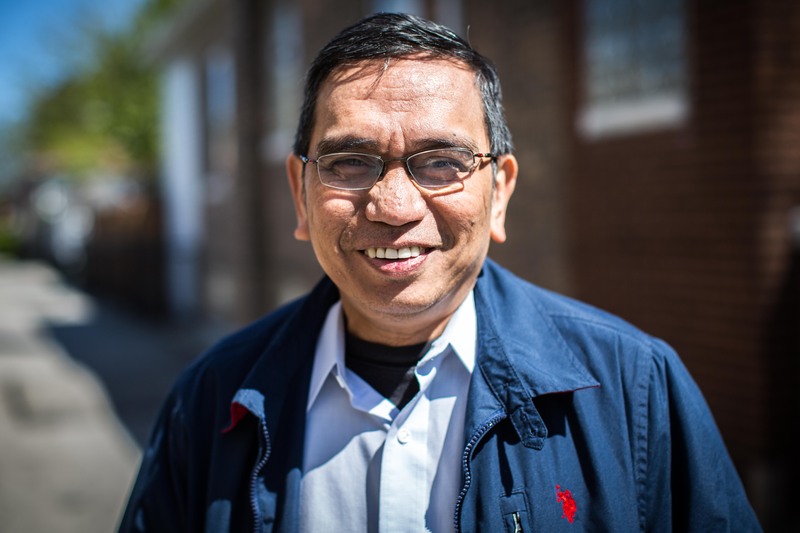 He went to work – teaching math during the day and chess after school. For this, he was expelled from the union. But that hasn’t slowed him or his team down. They continued to take home hardware from local, state and national tournaments. Unfortunately before Thanksgiving, funding for Joe’s team had all but dried up. But Illinoisans heard of the team’s need, and they acted. In the wake of Joe’s story appearing on illinoispolicy.org in 2017, more than $20,000 in donations poured in. And it wasn’t just from Chicago. Funding came from all parts of the state, as far north as Lake County and as far south as McLean County. Thanks to the generosity of the Illinois Policy Institute community, Earle students brought back three trophies from the U.S. Chess Federation SuperNationals tournament in Nashville – the largest chess tournament in history. In addition, captain Tamya Fultz took home two first place trophies from the 2017 National K-12 Grade Chess Championships in Lake Buena Vista, Florida. We’ve worked hard for years to position ourselves as one of the best sources for news and media throughout Illinois. 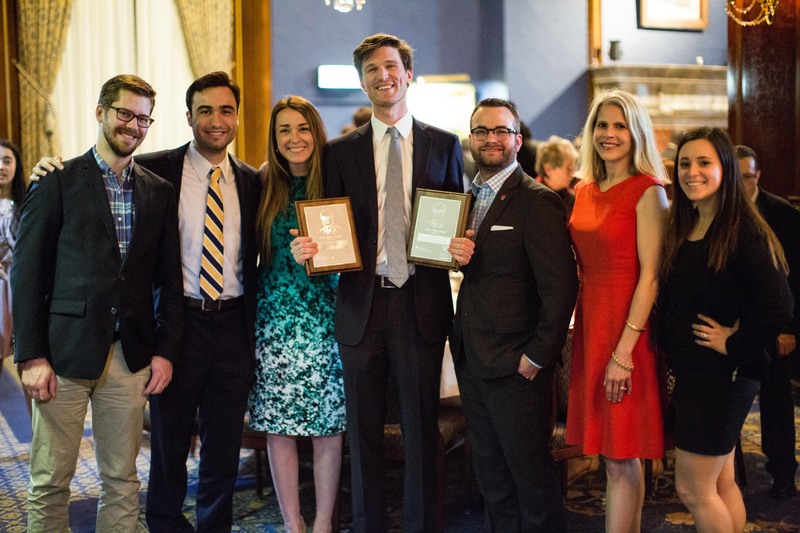 Nowhere was that work more evident than at the Union League Club this spring, where the Illinois Policy Institute took home two Lisagor Awards. The Chicago Headline Club nominates talented writers, filmmakers and illustrators for its coveted Lisagor Award each year, and the nominees represent the best of the best in Chicago and Illinois journalism. With a total of 14 nominations, our team was among the likes of the Chicago Tribune, Bloomberg News, NBC 5, WGN, NPR and more. In May 2017, the Illinois Policy Institute received 14 nominations and took home two Lisagor awards for outstanding work in Illinois journalism. In 2017, the Illinois Policy Institute’s media team secured high-impact hits to inform the narrative on some of the most important policy battles taking shape across the state. With the addition of our Chief Economist Orphe Divounguy, we’ve been able to expose the truth about Illinois’ economy, showing the clear need for policy solutions that reduce the state and local tax burden Illinoisans face, while also jumpstarting the state’s economy and creating more opportunity for residents. Orphe set the record straight on Illinois’ economy in a strong debut opinion piece in Crain’s Chicago Business in November, which detailed how Illinois’ economic and employment growth rates have lagged behind the rest of the nation for decades. Director of Content Strategy Austin Berg bolstered Orphe’s economic research with clear and persuasive appearances with WGN’s Paul Lisnek. 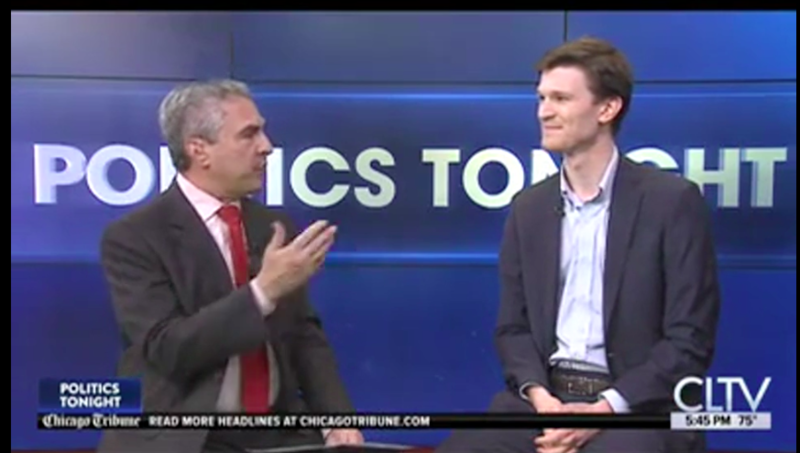 Austin appeared on the “Behind the Curtain” podcast and on the WGN news show “Politics Tonight” to discuss the need for fairness and responsibility in fiscal and economic policies. The Illinois Policy Institute and Illinois Policy had over 5,500 media placements in 2017 – ranging from national media, such as Fox Business, Forbes and The Wall Street Journal, to targeted local media, such as the Belleville News-Democrat, the State Journal-Register and the Daily Herald. It’s no secret that many Illinois families choose to leave the state after suffering from high property taxes, lack of opportunity and low wage growth. At the end of 2017, data from the U.S. Census Bureau revealed Illinois had suffered one of the steepest population declines in the nation, fueled by nearly 115,000 Illinoisans leaving for other states on net. Meanwhile, none of Illinois’ neighboring states saw population loss. We used these statistics to remind the media of the plight of Illinoisans while advocating for needed reforms. In two editorials warning Illinois lawmakers to stop driving taxpayers away with tax hikes, the Wall Street Journal cited Illinois Policy Institute analysis of data on Illinois’ loss of population and income to other states. 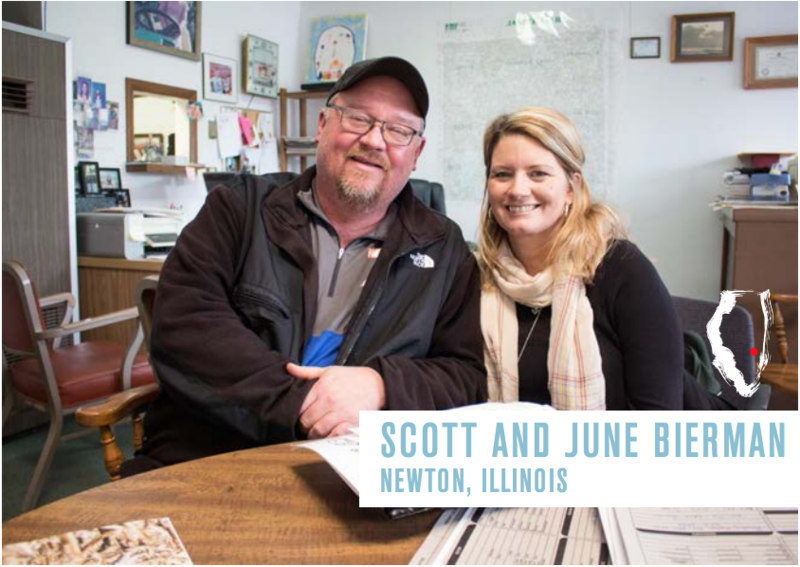 As we broke the news that Illinois lost its title as the fifth-largest state in the nation, Orphe and Austin took to TV, radio and newspaper media across the state. In a compelling interview with the Chicago Tribune, Orphe reminded readers that outmigration is the state’s biggest budget problem. As residents flee, there are fewer Illinoisans left to pay the bills. Pieces from his interview were picked up and republished in the St. Louis Post-Dispatch and the Daily Caller. 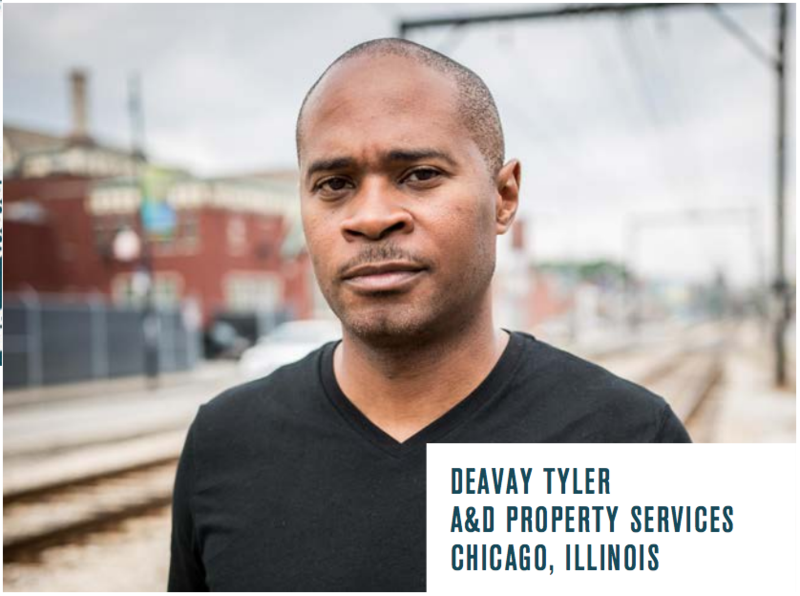 I hope you enjoyed reading about how your investment in the Illinois Policy Institute and Illinois Policy is changing the future of the state of Illinois. Together, we are fighting to write Illinois’ comeback story. We are working to reduce taxation and build an economy that will grow jobs and expand opportunities for everyone in Illinois, especially the poor and disadvantaged. As we look ahead to 2018, we have an opportunity to build on the amazing momentum that we have created this year. The Illinois Policy Institute will be publishing groundbreaking policy reports, exposing the corruption of Illinois’ burdensome property tax system and providing critical research against politicians’ attempts to pass a “progressive” income tax hike. The U.S. Supreme Court will hear Janus v. AFSCME, a case represented by our litigation partner, the Liberty Justice Center. If the case is successful – and we have reason to believe it will be – public sector workers will no longer be forced to pay union fees. Our team will be prepared to educate government workers on their newfound rights. In 2018, we will also continue to grow our community to build the largest state-based free market community in the country. Our network of engaged citizens provides positive pressure on lawmakers to enact needed legislation and holds lawmakers accountable for bad decisions. Most importantly, our approach is centered on results. By crafting and passing legislation, we do more than raise awareness about the problems facing Illinois; we are implementing solutions. Thank you for your support and partnership. I look forward to an amazing year ahead.